Mini-T Responsive Blogger Template is a stylish news free blogger template. 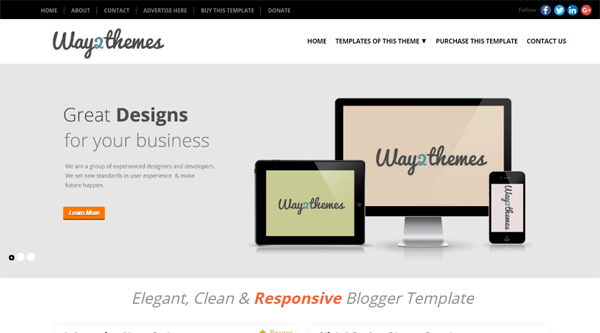 This template is equipped with a free license for a paid "Revolution slider" which is even not available on Blogger yet! We've used this responsive slider to boost the productivity of your site. Elegant in design and 100% cross browser compatible and responsive design provides a solid boost to your blog's look and feel.